Garage Door Repair Maplewood is an ace in overhead door services! We're the best in Minnesota for maintenance service and offers emergency repairs. Door springs, cables and other parts that are not properly installed might cause damage or injuries. This is why it is important to get experts when it comes to installation. Having many years under their belt, our technicians are known to provide quick installation and expert advice. 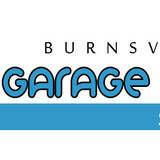 Garage Door Repair Burnsville is a residential emergency company in Minnesota and excels in overhead door maintenance service. Its technicians are skilled and offer outstanding electric opener replacement and installation. Safety is the first priority of Garage Door Repair Prior Lake! The company is the best in Minnesota for the maintenance and installation of electric openers, responds quickly and offers top garage door installation. Extraordinary services by the best company in Minnesota for the maintenance and replacement of garage doors and their parts. 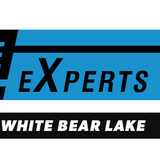 Garage Door Repair White Bear Lake provides same day repairs and excels in opener maintenance. The most experienced professionals in Minnesota for overhead door service! The technicians of Garage Door Repair Champlin are experts in opener maintenance, repair parts properly and replace garage doors perfectly. 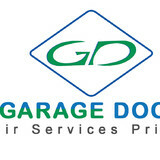 The Garage Door Doctor LLC was founded in 2006 in Elko New Market, Minnesota. Our business specializes in both commercial and residential overhead door sales, installation and repair service. We are dedicated to offering the highest quality garage doors and service at affordable prices. We offer all models of high-quality Clopay® doors, as well as LiftMaster® electric operators. Whether it is a large commercial installation or a garage door for your home, our service is second to none. As the most trustworthy residential service provider in Minnesota, Garage Door Repair Lakeville guarantees safety, takes care of opener issues fast, is a master in Liftmaster and Genie openers, and replaces parts perfectly. The expertise of Garage Door Repair Apple Valley makes the company the best in Minnesota for the installation and maintenance of overhead doors. It offers full opener services and same day emergency service. Garage Door Repair Savage is the number one emergency company in Minnesota! It offers same day service, solves opener problems with speed, excels in Genie and Liftmaster door opener troubleshooting, and is efficient. The most experienced company in Minnesota! Garage Door Repair Maple Grove is an emergency, same day company and an ace in electric opener repair. It excels in troubleshooting and replaces garage doors perfectly. The experience of Garage Door Repair Bloomington underlines the company's capacity to deal with issues properly. It's a fast contractor and the most eligible one in Minnesota for opener replacement and overhead door maintenance. Garage Door Repair Mendota Heights has experience and is still the most thorough service provider in Minnesota! It offers top overhead door maintenance and emergency repairs and excels in the services of openers. People in Minnesota love Garage Door Repair Edina for its efficiency! It's a company with experience and a great team! It provides same day emergency opener repair, overhead door maintenance and garage door part replacement. As one of the leading companies in Minnesota for the replacement and installation of overhead doors, Garage Door Repair Inver Grove Heights excels in opener troubleshooting and maintains garage systems with perfection. 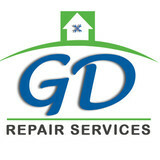 With the most professional team in Minnesota, Garage Door Repair Eden Prairie promises top residential repair services. It specializes in overhead door replacement and maintenance and is experienced with Genie opener systems. Garage doors and gates are valuable assets to a Lakeville, MN home’s curb appeal, security system and storage needs, so when they need to be repaired, it’s always smart to hire a local garage door repair professional. A Lakeville, MN garage door maintenance pro can fix a wide range of components, including exterior damage, parts, openers and weather sealing. What types of garage door service tasks do contractors in Lakeville, MN provide? A damaged garage door can lead to increased security risk, ruined belongings and an unpleasant exterior, so look for Lakeville, MN repair professionals who provide same-day or emergency services if the damage is extensive and poses a potential health and safety risk. Find Lakeville, MN garage door repair professionals on Houzz. Narrow your search for garage door repair professionals by selecting the nearest city or zip code. Look at portfolio and product photos, and read reviews to find the best garage door contractors in Lakeville, MN for your home.